Does Your Plastic Surgery Practice Need A Marketing Facelift? In the era of digital marketing, if you are still wondering why your plastic surgery and cosmetic clinic needs marketing, here’s what you need to know. The American Society of Plastic Surgeons (ASPS) has reported that 1.7 million cosmetic surgical procedures and 14.2 million cosmetic minimally-invasive procedures were performed in 2015. Do you know that there has been a drastic 115% increase in the overall cosmetic procedures over the last 15 years! We know that means a lot of business for the plastic surgeons, but not knowing how to make use of the changing trends keeps you way behind your competitors. Well, we present you with some tricks on how to reach a wider range of audience – starting from your neighborhood to across the country. What’s your target patient for plastic surgery? It is a common (Mis)understanding that women constitute a major percentage of your patient community. This means a majority of Plastic Surgery clinics are targeting female patients when it comes to marketing. Despite the fact that women do prefer to undergo cosmetic procedures when compared to men, you need to understand that plastic surgery is becoming more common and accepted in men, especially the younger lot. Cosmetic procedures are considered a luxury rather than a basic necessity. No wonder more than half of the world’s population would want to trim or shape or replace more than one part of their bodies; however, on an average, only 20-25% of them will have the privilege, money and time to make this happen. Well, you know why! Hence, target marketing should not be restricted to gender, but age and demographics among others – to identify target patient base and their preferred treatment niche. Hence, when we talk about marketing strategies, we refer to your patient community in general, but not women in particular. Do not target financial goals, attract patients instead! Unlike other industries, healthcare industry needs to focus on the stakeholders first, rather than trying to achieve financial goals. The strategy is quite straightforward – when you gain trust among your patients, profits will automatically follow! Hence, Word-of-mouth marketing means a lot to your business rather than content-heavy advertisements and campaigns. Always ask your patients to speak-out – send them feedback forms, request for reviews on social media platforms, and testimonials on your business website or Facebook page. You never know how far a single FB or Twitter post can reach! This takes your marketing to the next level and keeps your business growing. Unlike other medical conditions, cosmetic procedures do not always require regular follow-ups, thereby making your patients not visit you again and again. If you did not bother to keep in touch, then there is a greater chance that your old (ex-)patients do not remember you anymore! To prevent this, you can follow some simple and quick marketing strategies like maintaining a record of their birthdays and anniversaries, sending automated greeting cards and messages to their email address; or you can go an extra mile, and send them personalized email newsletters related to the treatment they have undergone at your clinic. An email newsletter is one of the most preferred marketing strategies for large businesses. Too many emails can annoy your customers, though. Always ensure that there is a reasonable gap between each mailer. While this is a common practice across most businesses, free consultation in a Plastic Surgery clinic should be coupled with a preview of ‘before and after’ looks. Using advanced digital technology, not only can you remove patient’s inner fear of disappointing results but also provide assurance while helping them visualize their future look. You can even consider launching a free consultation week in your neighborhood to attract a larger group of future patients. Create and manage a Facebook page, Twitter handle, LinkedIn business page and send out marketing email newsletters. 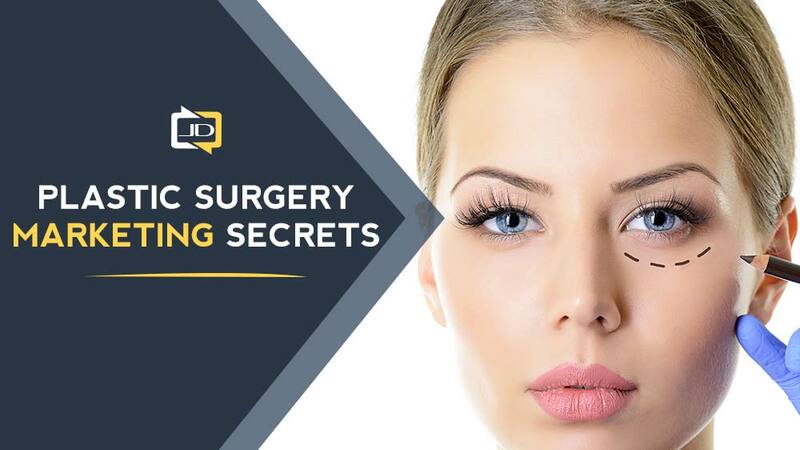 If you are assuming that any of these quick and easy solutions are just enough to market your Plastic Surgery clinic, well, you are sailing on the wrong ship! Almost all businesses make use of social media platforms for branding and marketing. Hence, it is important to identify your wow factor and focus on that part of the story.